Subscribe to ALL the MyMac Podcast Network show in one fell swoop in iTunes! We have a contest entry for the LogMeIn Ignition Giveaway!! And Suzé is back, and reviews the news reading app Zite. John Nemerovski reviews iPad 2: The Missing Manual, Second Edition from O’Reilly Media, and the Macbook Air Travel Express from SFBags. 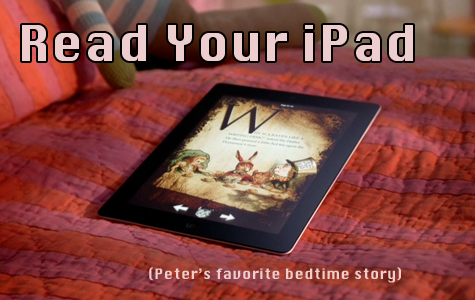 And Peter and Scott continue the topic of reading on the iPad, covering books and news reading apps this time. LogMeIn Ignition – Send in your audio comments before Ep 17 comes out to WIN!!! Microsoft buys Skype…We’re Doomed! DOOMED I tell ya!